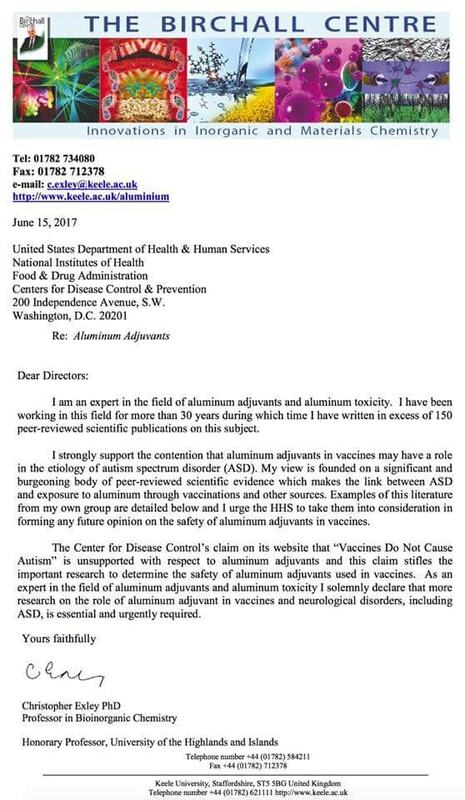 The 2017 US CDC (Centre for Disease CREATION and PROMOTION) vaccine schedule requires U.S. children from birth to age 6 to receive 50 doses of 14 vaccines, many of which contain both neurotoxic aluminium and mercury (thimerosal)! Infants in the US are exposed from birth to age 2, to 24 vaccine doses, combining 8-in-1 vaccines to be given to infants 2, 4, and 6 months in a single visit! 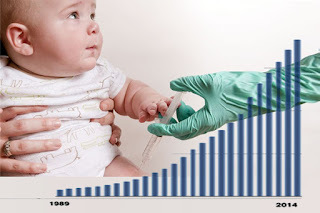 Babies receive 36 vaccine doses before they are 18 months old! THIS IS CRIMINAL INSANITY & STATE-SANCTIONED MEDICAL MURDER OF NEWBORNS, INFANTS AND CHILDREN! In 1985, the autism prevalence rate in the US was 1 in 2,500; in 1995 it was 1 in 500; In 2014 it was 1 in 45! In children aged 3 to 17, the autism prevalence rate increased by 80% from 2011-2013! At this rate, it is predicted that 1 out of 2 children in the US will have autism by 2030! A report by EPA scientists Timing of Increased Autism Disorder Cumulative Incidence analyzed the cumulative incidence of autistic disorder during a 10-year period (1987–1996) pinpointed a sharp “changepoint” year (1988) when the incidence of autism sharply increased. 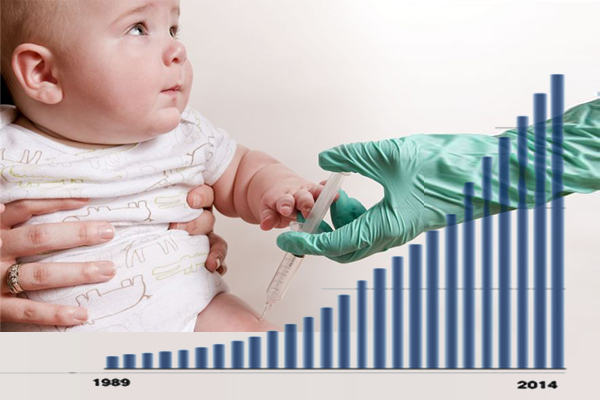 The “changepoint” year is concomitant with the year childhood vaccination schedules expanded. 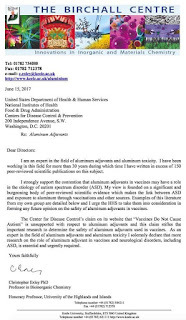 Scientific research and CDC internal documents on the toxicity of mercury (thimerosal) in vaccines reveal exposure to thimerosal during the first month of life increased the relative risk of autism by 7.6 (760%), 1.8 (180%) increased relative risk for a neurodevelopmental disorder; 2.1 (210%) relative risk for speech disorder; and 5-fold (500%) increased relative risk for a nonorganic sleep disorder. 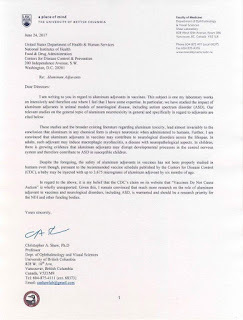 CDC also suppressed the original findings of another of its own studies that found a 340% (3.6) relative increased risk of autism for African American male babies following MMR vaccination in accordance with the CDC-recommended Childhood Vaccination Schedule. The alarming and damning scientific evidence documents that infants exposed to vaccines laced with thimerosal during the first month of life are at alarmingly high increased the relative risk of serious harm. “The data on its toxicity (shows) it can cause neurologic and renal toxicity, including death,” writes Dr. Richard Johnston, M.D., an immunologist and pediatrician from the University of Colorado. 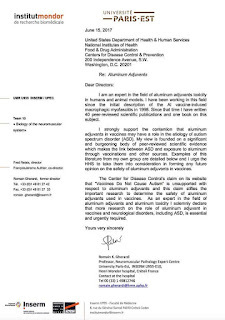 Dr. Verstraeten also said: “what I will present to you is the study that nobody thought we should do.” The study categorized the cumulative effect of thimerosal-containing vaccines administered to infants after one month of life and assessed the subsequent risk of degenerative and developmental neurologic disorders, and renal disorders before the age of six. Dr. Verstraeten stated that ALL of these relative risks were statistically significant. 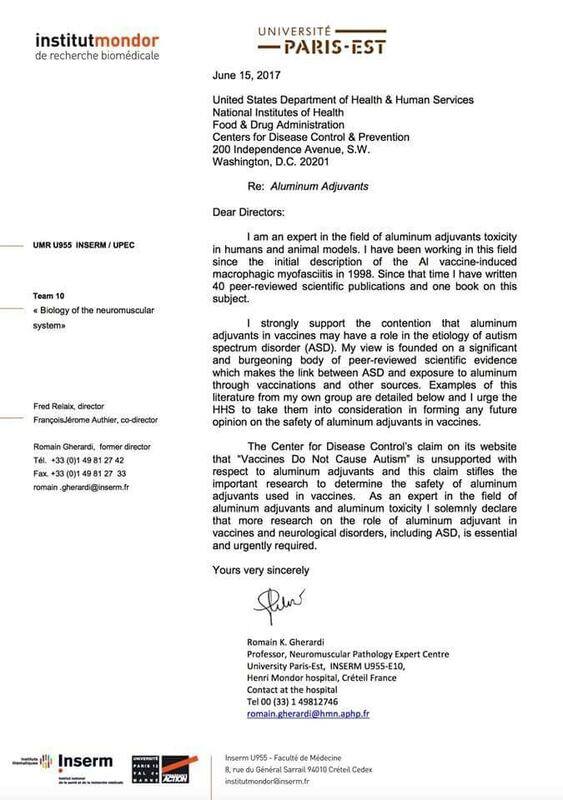 Both neurotoxic aluminium and mercury (thimerosal) contained in multiple doses of childhood vaccines as well as the CDC vaccine schedule cause severe and permanent neurological disorders including autism in newborns, infants and children! 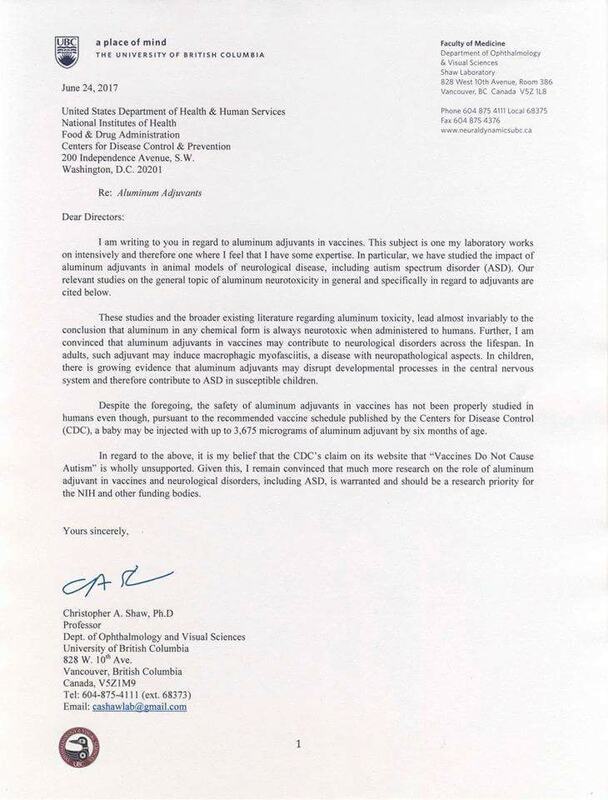 When will the US sanctioned Vaccine Holocaust of newborns, infants and children end ??????????????? 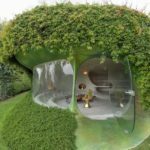 This article appeared first at Yajna Center. It appears here with permission.